Walcote's play area at Chapel Lane, Walcote was opened in May 2011. 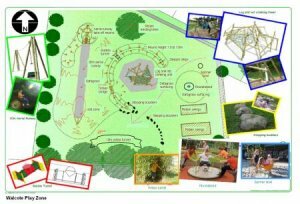 The site has been developed to provide play opportunities for all ages. The facilities at Frank's Lane Playing Field include a Skateboard Park with a Driveway with Grind Box, Flat Bank and Quarter Pipe. We also have a basket ball hoop and football goal posts. The Parish of Misterton with Walcote lies just to south east of Lutterworth. Misterton is less than a mile east of junction 20 on the M1. It is now little more than a church and a hall but was once a considerable village. St Leonard's Church is a mainly 14th century building with good decorated window tracery. The site is an ancient one as the name, which means "minster" – tun, indicates. Apart from services, the Church is opened on Saturdays from Easter to September between 10am and 4pm, with tea being served from noon to about 2pm. Here are details of two short walks that can be linked together, with two variations making use of permissive paths. Walk 1: A walk from Misterton Way, Lutterworth to St Leonard's Church, Misterton or Walcote. Walk 2: A circular walk from Walcote, across the River Swift and countryside, along the edge of Misterton Marshes Nature Reserve. 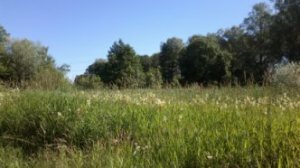 Misterton Marshes is a 23 hectare site which includes SSSI (Site of Special Scientific Interest) lowland wetland areas, species rich grassland, new woodland, mature conifer plantation and wet woodland.